Last week I took a Sleep & Read vacation. Caged Lightning by Brent Rock Russell was one of the books on my list to read. I really liked the premise: Wyatt Stryker, E.R. doctor and ex-Navy SEAL, finds himself facing one of the deadliest drug cartels when his son has been taken hostage. And I thought it started well. "I was about to take a bullet to the cranium. Not for a particularly noble reason, like foiling a terrorist attack or hurling my body in front of the President. Nothing remotely worth the risk of a skull peephole." Unfortunately, the execution of the story didn't work for me in this plot driven novel. One of the first things I noticed was that the writing wasn't as sleek as I am used to in thrillers. I thought the reading level was a little low compared to the adult books I typically read. There is nothing wrong with that in itself as it might appeal to people that do not read very much. Some of the technique is what really bugged me. I thought it was pretty much industry standard these days that if you were going to use dialogue tags (i.e. he said) that they went at the end of the dialogue. However, in Caged Lighning they were at the beginning of the dialogue. It was jarring. A side note: I read an ARC, which means it has not completely finished all phases of editing. Typically proof reading hasn't been completed. Maybe dialogue tags were fixed prior to full publishing. I also thought there was unneccessary explanations or details at times, which had it not been included the story would have been tighter. It really effected the momentim of the story for me. For example there was a section explaining the difference between covert and clandestine operations. "There's a difference between covert and clandestine. Clandestine missions are generally conducted with diplomatic approval, or at least not outright disapproval. But if something gets in the press, the nation claims to be transgressed and angry at the U.S. True covert missions are conducted in sovereign nations without the knowledge of their government; the U.S. government denies any association. Operators use equipment non-attributable to the U.S."
A couple of pages later Wyatt is remembering a covert mission he was on as a Navy SEAL. Instead of stopping the story (at least for me) to define the difference between the two types of mission, it could have been inserted seamlessly into the memory that the mission was covert. Especially since twice during the recall it is mentioned that the U.S. would deny involvement. I never saw the point of spelling out the difference or even really bringing up the difference. It had no real bearing on what was happening in the story to have an understanding beyond what a covert mission is. The action scenes were well written. They were really the strength of the book. I just wish the rest of the story had been as well done. I also had problems with the characters. The 911 operator and detective were written almost as Barney Fife characters. Perhaps if the story was set in middle of nowhere hickville it would have been believable, but they are in San Diego and their attitudes were unprofessional. Who doesn't take a possible child abduction seriously? I know there are bad apples, but these two characters felt too exaggerated. I understand the main character is under a lot of stress, but his personality seemed inconsistent. There was a lot of emphasis put on his traing as a Navy SEAL and how they are trained to be calm under pressure. Yet, soon after a reminder of this fact, we would read that Wyatt was panicking. Sometimes to the extent that he could not come up with plan or execute the plan he did come up with. 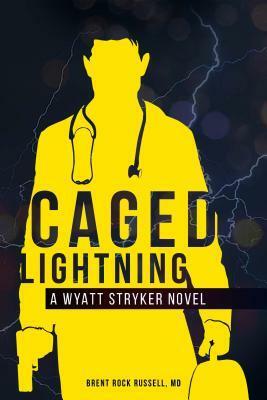 Cage Lightning is clearly a plot driven novel, so I understood that character development was lacking. 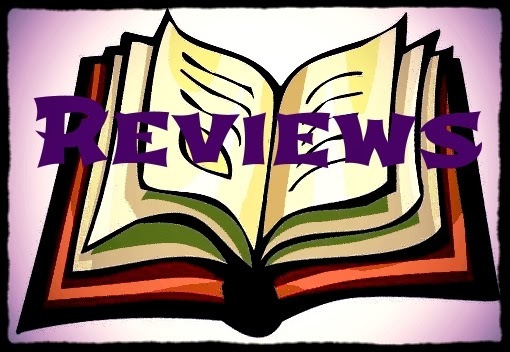 If you have been reading my review for very long, you know I much more prefer a character driven novel. That may explain why I wasn't as entralled with this action-packed book. I also wonder if it wasn't written more with a male audience in mind. If so, that's great as typically men don't read as much as women (as there is no shortage of reading material written for a female audience), but I wouldn't have been the right audience for this book. Get even more book news in your inbox by signing up for our newsletter: http://eepurl.com/mHTVL. A free book was provided by the publisher for this review. Girl Who Reads is an Amazon advertising affiliate; a small commission is earned when purchases are made at Amazon using any Amazon links on this site. Thank you for supporting Girl Who Reads.